Kim Kardashian Is Deadbeat Mommie Dearest!!! 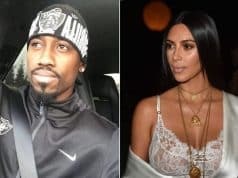 Kim K’s left parenting five-month old baby North to a “hired nanny.” In her own words, just because she’s a mother doesn’t mean she’s not “allowed to have fun.” This isn’t surprising, especially when considering the scandalous seed she comes from. 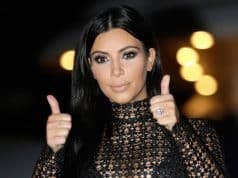 Did Kim Kardashian’s Ebay auction — using Typhoon Haiyan as her marketing tool — wrap last night, with her keeping 90% of the money? Of course! Just ask Kendall Jenner. Next articleWiz Khalifa Shows His True Colors … Nail Polish & All!